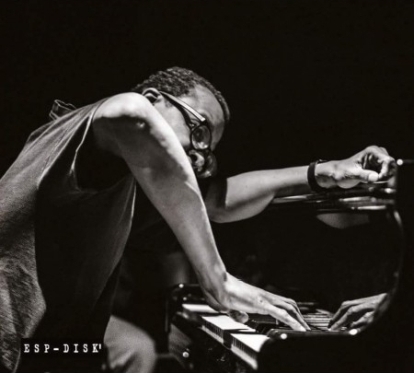 For the past 30 years Matthew Shipp has kept his music and musical associations true to himself and the higher laws of the universe. He has done this by having the courage play uncompromising music, unafraid to bring us tears and flowers wrapped up in the blues. Not intimidated by jazz history, Matthew has spent his life learning how feel comfortable stepping into the unknown part of the tone world. Throughout his musical career, Shipp has been able to accomplish a rare thing. That is to be able to find the center in the music every time he plays. This music is more concerned with poetics because it is poetics, not technique or academics, that will allow the music to go inside and change the soul of the listener. It is transcendence of music that will lead us to transcendence. I enjoyed this music on many levels; the more I listen to it, the more layers of brilliance I discover. So remember, give it repeated listening; accept it for what it is, not for what it is not. Mat Walerian plays some of most lovely and relaxed uncompromised beauty that I have ever heard in a long time. Now some might ask, who is this saxophone player ? Who has he studied with, where does he come from ? I say accept him, he loves music and has risen to his apex in this duet with Matthew Shipp. The most important thing is not who he studied with, the most important thing is that he is alive on the scene. 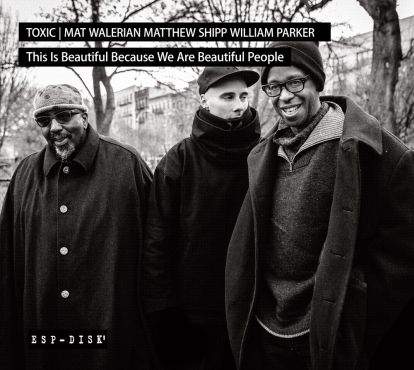 Mat Walerian is one of the special ones, and along with Matthew Shipp they have created a new music called Elusive Beauty. I invite you to enjoy it and learn how to cherish life. I first encountered the ESP record label in 1968 when I was looking through record bins at the Sam Goody record shop on Eighth Avenue in midtown Manhattan, NY. There were bins with all these records labels displayed (Impulse, Blue Note, Verve, Atlantic, Riverside, Prestige). There was one bin labeled ESP DISK that was filled with these LPs with liner notes and information on the back cover. On the front cover were these beautiful black-and-white photos of musicians with names like Noah Howard, Charles Tyler, Albert Ayler, Lowell Davidson, Frank Wright, Marion Brown, Sunny Murray, Sonny Simmons, Milford Graves, Karl Berger, Henry Grimes. The entire premise was intriguing and poetic laced with a large dash of mystery. Not in the who done it style but in the what’s up with these brothers style. Who were these musicians? Were they the black panthers in disguise? Was this the new spiritualism; was it the Avant Garde sound that influenced Coltrane? Most of these records cost about eighty-eight cents with the ESP compilation samplers going for thirty-nine cents. I slowly began to buy these books of sound whenever I could until I owned the entire catalogue. The music was revolutionary and served as a soundtrack for my life while I was living in the Claremont housing projects in the Bronx. ESP lived up its slogan “you never heard such sounds in your life.” Throughout the subsequent years the ESP catalogue resurfaced in Germany, Italy, and Japan, spreading the message of the new music. On April 20, 2015 the founder of ESP-Disk', Bernard Stollman, passed away due to a long struggle with cancer. The label did not die: it goes on due to the foresight of writer-producer Steve Holtje, who continues running the label for the Stollman family just as he had for Bernard, overseeing the reissue of previous released recordings and the production of new music. 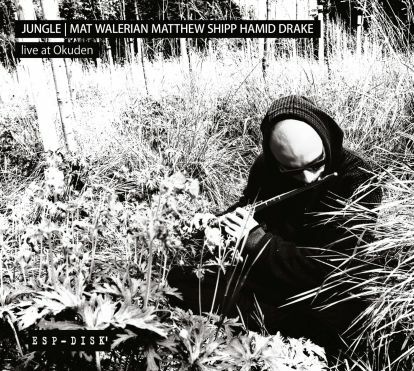 One such release is this recording by Mat Walerian, Matthew Shipp, and Hamid Drake. The music does not need these words to exist, it only needs your ears. It is my suggestion to listen and listen again and again. Until the experience of the music begins to resonate inside you, until it begins to echo the name of truth or paint images. Or it shows you a vision for the future that goes way beyond forms and solos. I was told once that a master musician is not a musician who knows everything about music, like preordained harmonies, rhythms, or melodies. Nor is it someone who knows all the tunes in the fake book, keeping in mind there is reason why it is called the fake book, with the emphasis on fake. The informed musician knows enough to let music be music on its own terms. Repetition is never in the stars. It is about becoming a part of creation rather than trying to be creative. Improvisational music is a day-to-day, second-by-second experience that reboots itself at each silence. The flame continues to burn, but it is different: it now rests in a temple called Self sound, a phrase coined by the writer Ted Joans . This music is being materialized as one self through three musicians. The music speaks for itself; always has, always will. What I can point out is that a different sensibility is brewing, shorter glimpses of light that appears, begins to dance, and leaves. The music reshapes itself constantly, like all things that come through human beings through nature, like birth, rebirth but never death, these are real changes that answer the call, giving us what is needed in the moment. Stepping into the Silence, this is literary music, epic little bouts of brilliance. That expands and stretches across what you might call instant reality, the lining or other side of the cosmic blanket where ordinary yet extraordinary people live; it swings and is balanced, it knows where to stop and begin again. It Bees and it Bops, it is and isn’t at the same time, but the main thing is they don’t scream - not that the scream and the shout are bad. It’s that you have to play inside your destiny rather than a musical style. It’s all about playing free instead of asking others for freedom, so I celebrate Drake, Shipp, and Walerian for choosing life over music. Choosing intuition over tradition. 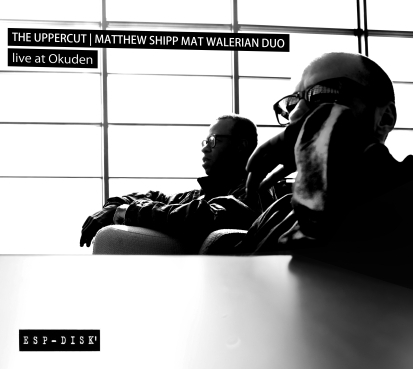 "This Is Beautiful Because We Are Beautiful People"
on this, Walerian’s third CD for ESP (his first being in duo with Matthew Shipp as THE UPPERCUT on the album Live at Okuden, his second, the trio JUNGLE with Shipp and Hamid Drake, also called Live at Okuden) we have Mat and Matt joined by another master, the incomparable bassist/composer William Parker. in what is termed an annotation on that first CD, Parker describes the duo as “EXQUISITE…lovely…relaxed…uncompromised beauty…” where “you can hear sound and space disrobe,” and Parker himself can fit the very embodiment of those words, his voice on this project giving rise to a possibly even greater beauty. Walerian picking up the alto without even a breath between instruments as if the magic just appeared from the magician’s wand / strong lyrical passages and though Walerian claims later he didn’t realize he was entering deeply into the blues i can only say that the blues certainly entered deeply into him like the intense blue of the vast Brooklyn sky where this session was recorded / flute / shakuhachi / lunchtime reveries / homages to histories / the core / heart of intense creativity to the point of creativity nearly surpassing itself … improbabilities and contrasted elements / juxtapositions and a covert dance between unlikely alikes / three mighty wills totally in tune with each other / a sound field of personalities unique and unified / confidently transcending the boundaries of the studio dismantling the walls /building a new CHURCH a rich new system of ideas / surreal / grotesque / tentative yet affirmative / funky little melody lines and a line of blips… disjointed / disturbing in a tender sort of way / the familiar becoming unconventional symbolic representations of memory that merge with then melt thru the walls of Park West Studio as the art of thinking, reasoning and listening carry on as they get carried away > suffice it to say this session is indeed beautiful because all its participants are beautiful people > but it takes much more than beauty to create great art / to create beauty > it takes VISION, IMAGINATION, WILL, COMMITMENT, PATIENCE, EXPERIENCE and “ACCIDENT.” this trio has all that and more. Sonic Fiction : My first thought was BEST TITLE EVA’ !!! Sheer genius ! This has to be a great recording … it is. Can’t wait for the cover art. Science fiction always transported me, it required me to take part, a journey, an alternate reality, a peek into the future, the what if’s … it has come to pass, many elements of modern life have their roots in this fiction. We are what we think. Needing to know how others defined science fiction I decided to consult the oracle. Many of the definitions included words I would use, science, future, space, technology, different dimension and universe, a few even used “human element” … great ! Finally I came across the writings of Chris McKitterick from The Gunn Center for the study of science fiction, my work was done. Most of the remainder of these notes will transpose science fiction to Sonic Fiction, a few other ripples in the fabric of space and time might occur. Sonic Fiction is the music of the human species encountering change. Sonic Fiction is the music of ideas and philosophy. Sonic Fiction is a community of thinkers and creatives. Sonic Fiction provides an approach to understanding the universe. I’d like to thank Matthew, Mat, and Whit for the beautiful realization of these ideals and thank you Mr. McKitterick for composing your thoughts so eloquently. If you eva’ read these know there is a copy of Sonic Fiction waiting for you out there. There is no future without a past but reality is only now. Listen.